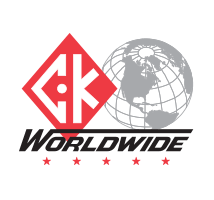 A family-owned company dedicated unrivaled service, CK Worldwide has produced the highest quality welding equipment and supplies for over 50 years. CK Worldwide products are manufactured for today's demanding applications, with a wide range of TIG torches, fingertip TIG controls, consumables, and gas saver kits. Shop Weldfabulous for a complete line of CK Worldwide TIG torch packages, replacement parts, and more.